1) Laetoli, Tanzania. 3.66 Ma. 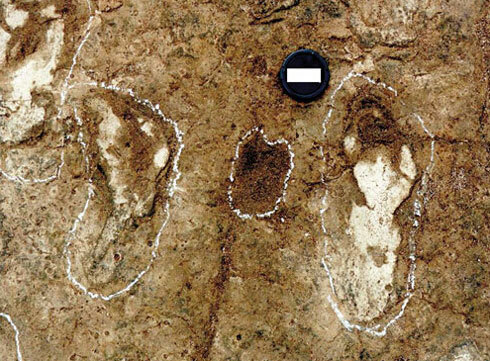 Site G, found in 1978: 70 footprints made by three Australopithecus afarensis. Along with footprints were hominin and animal remains and Acheulean objects. The footprints are normally buried to protect them against the elements. 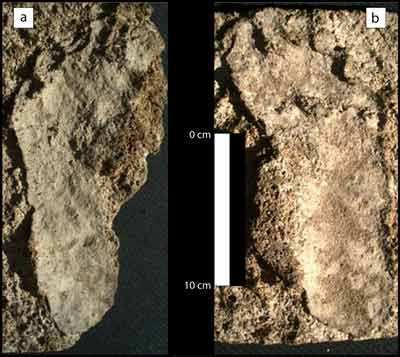 Site S (150 m away from Site G), found in 2015: 14 footprints made by two Australopithecus afarensis walking in the same time frame, in the same direction and at a similar moderate speed as the other three. One of them (hominin S1) had an average stature between 161-168 cm. 2) Ileret, Kenya. 1.5 Ma. 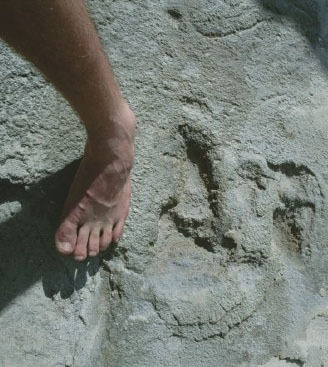 They are 97 footprints left by at least 20 Homo erectus individuals, who had a modern foot and stride: a mid-foot arch, straight big toe and heel-to-toe weight transfer. The footprints are indistinguishable from our own. 3) Langebaan Lagoon, South Africa. 117,000 years ago. 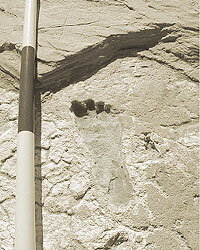 Called ‘Eve’s footprint’, because they are the oldest known footprints of an anatomically-modern human. This is very relevant considering that less than 40 hominid fossils from the period 100,000 to 200,000 years ago have been found. 4) Happisburgh in Norfolk, UK. 850,000 years old. Assigned by many authors to Homo antecessor. Previously, the record for the oldest set of footprints in Britain was 7,500 years old, which pales in comparison to the Norfolk find. 5) Roccamonfina volcano, Italy. 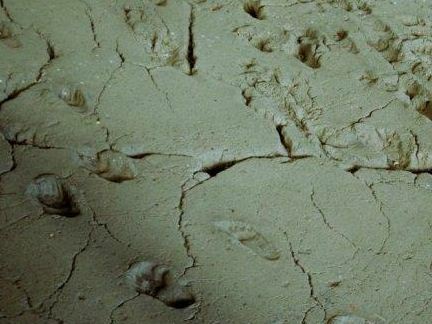 They were the oldest footprints in Europe before the Norfolk find. Called the “devils’ trails”, they are preserved in volcanic ash atop the volcano. Assigned to Homo heildelbergensis. 345,000 years old. 6) Theopetra cave, Greece. 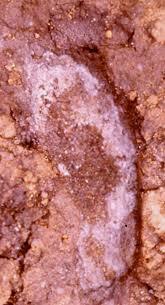 Four human footprints preserved in a reddish clay sediment, in association with various posterior hearths along the same layer which are dated to 46,327 BP. 7) Ciur-Izbuc Cave, Romania. 36,500 years old. More than 400 footprints! 8) Calvert Island, British Columbia, Canada. 29 footprints along the shoreline of Calvert Island published on June 22nd, 2015. They are believed to be of a man, woman and child. At the base of the footprint track, pieces of preserved wood were radiocarbon dated to circa 13,000 years old. 9) Monte Verde, Chile. 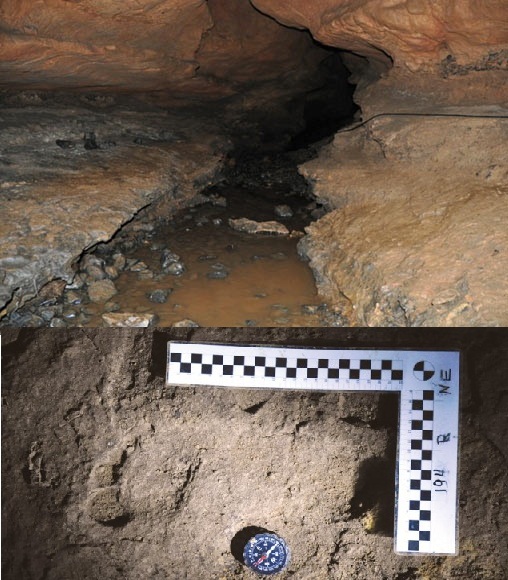 An open-air prehistoric sites with remains of a small settlement of 20-30 people who lived in 12 huts c. 12,500 years ago. A single footprint of a small child was found there. 10) Chihuahuan desert, Mexico. 10,550 years old. 2 footprints, left and right. 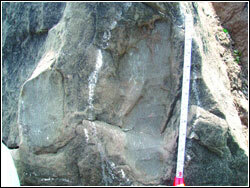 At the same site there are 11 other footprints dated 7,250 years old. 11) Lake Managua, Nicaragua. 6,000 years old. 12) Willandra Lakes, New South Wales. 20,000 years old. 13) Margalla Hills, Pakistan. 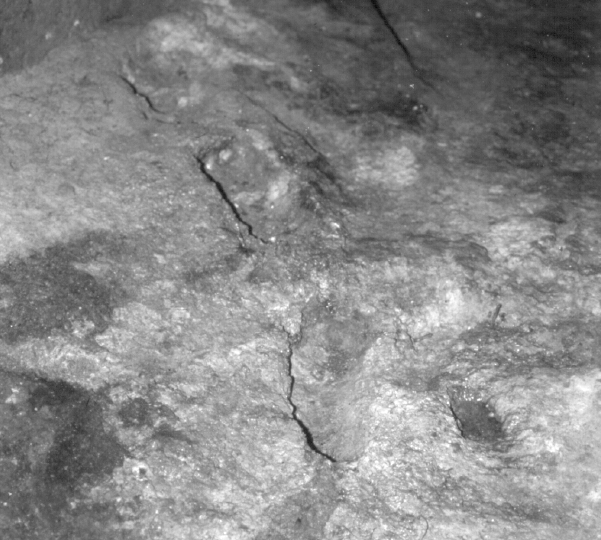 2 footprints made by Homo erectus 1 million years ago. 14) Jeju Island, Korea. 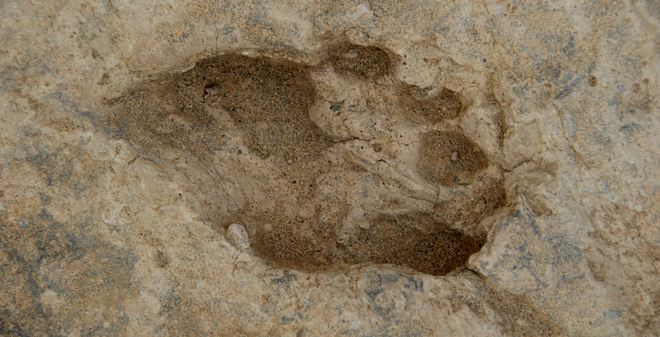 More than 100 human footprints and other thousands of horse, elephant, bird and deer fossil tracks. 50,000 years ago. Recent studies set a more recent dating of between 19-25,000 years. Esta entrada fue publicada en Reflexiones y etiquetada English. Guarda el enlace permanente. Now updated. Very interesting, thank you very much. 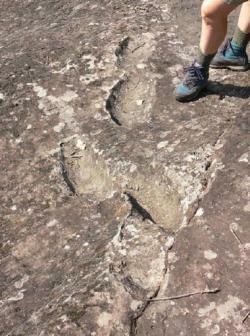 The footprints discovered in Bolivia by researcher and explorer Kathy Wills are missing from this article. Bolivian Geologists place the sandstone rock stratum these footprints are found in is between 2 and 11 million years old. These footprints are found atop a mountain in northern Bolivia at apx. 15,000′ elevation (4,500 meters). Press release and more details are available at the link below. 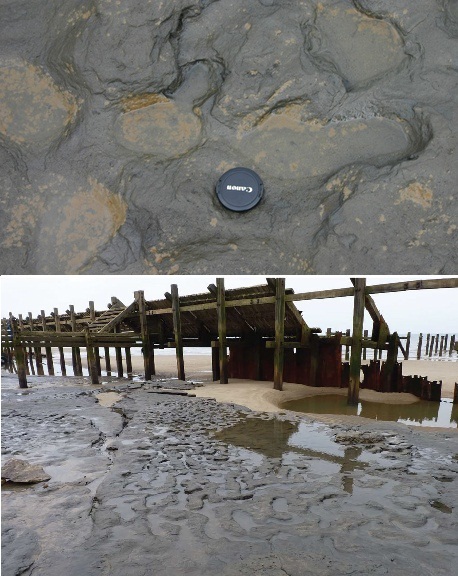 What about the footprints found in the last few years on the beach in West Wales near the petrified forest? It looked like an adult and child. They are 3,000 to 4,000 years old, more recent than the rest of this list. Thanks for your comment.